From Rumor to Reality (TV)! 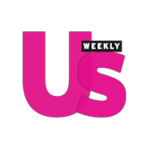 It was announced on Wednesday, August 8, 2018 that actress Denise Richards will officially join the cast of Bravo's The Real Housewives of Beverly Hills via People Magazine Online. 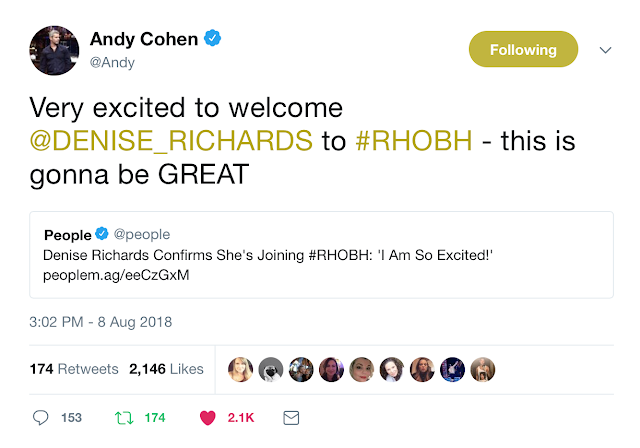 The announcement has Housewives fans buzzing and Housewives's Head Hancho Andy Cohen "Very Excited" according to the Tweet he blasted out on Wednesday. Andy Cohen's Tweet welcoming Denis Richards to the cast of The Real Housewives of Beverly Hills stating that he is "Very Excited." We all are too! Richards will be apart of the popular reality tv show's 9th season and tells People that she is "looking forward to spending time with all of the ladies." Apparently Denise is a huge fan of the show and is already friends with Lisa Rinna and Kyle Richards so she has to know about the insanity and fun she is about to embark on. All of the media outlets are calling her the "Wild Things" star but I choose to refer to her as the "Drop Dead Gorgeous" star because that is my all time FAVORITE Denise Richards movie. 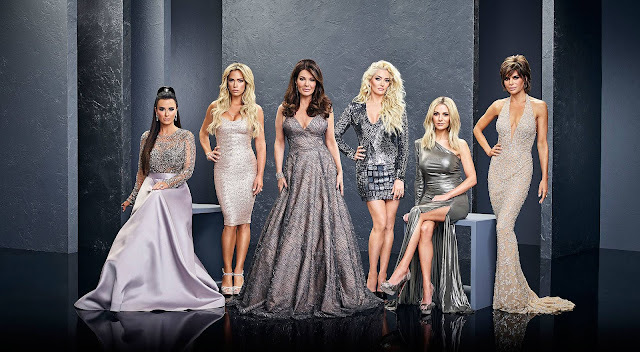 The 9th season of the Real Housewives of Beverly Hills is slated to air later this year and OJ&B wishes her and the rest of the ladies the best of luck! Do you think Denise has what it takes to be a "Wife?" Let us know in the comments below and on Social Media! As always.. For More information on The Real Housewives of Beverly Hills visit BravoTV.com.